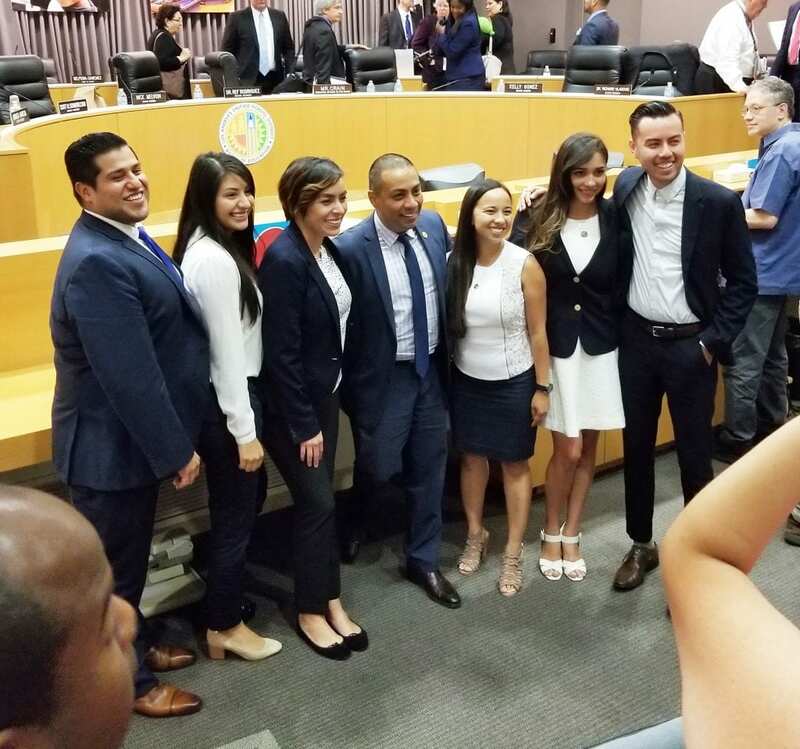 On Thursday, July 6 the Co-founder of PUC, Dr. Ref Rodriguez, was elected LAUSD School Board President. Dr. Rodriguez began serving as a board member in 2015, representing local board district 5, the community in which he was born and raised. We are immensely proud and excited about this amazing milestone. Dr. Rodriguez appointed Monica Garcia, a long time, passionate board member who always puts students first, as his Vice President. In addition, Kelly Gonez & Nick Melvoin took the oath of office as new board members. Kelly is a former PUC teacher and Nick is a former TFA teacher. Both Kelly and Nick were students of PUC Co-Founder Dr. Jacqueline Elliot at Loyola Marymount University. Many charter community leaders were present at the board meeting for this momentous occasion, which we hope will herald in a new era of collaboration and unity between the charter and traditional public school sectors.